Terry will lead UK Cruze launch. Former Saab executive Mark Terry is the new head of Chevrolets operations in the UK. Terry, 42, succeeded Rory Harvey, who moved to a new post as director of after sales for Chevrolet parent General Motors in the UK and Ireland. 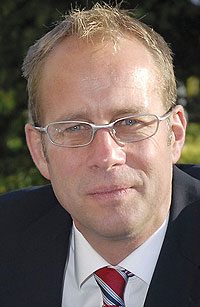 Previously, Terry was Saabs UK operations director from 2006 to 2008. He joined Saab in 1987. Terrys first challenge will be to oversee the UK launch of Chevrolets new Cruze lower-medium sedan in the UK during an economic downturn. The Cruze launches in the first half of next year.